It's been a hectic couple of weeks - we've got a whole pile of things that it would be nice to put on the blog, some of which may even appear eventually! I've been to London twice in the past week, and the last visit was Monday and Tuesday this week, for a workshop on statistics for software engineering. More interesting than it sounds (really), but possibly only to me, so I'll not give a lot of detail. I did take the chance to visit my sister Heather though: now we're not in Loughborough any more, opportunities for visits don't come up as much so this was quite welcome. One other highlight that I thought I'd share is that I had the happy experience of a first-class train ticket back as the cost was the same as for a standard ticket. A most enjoyable end to an exhausting couple of days. 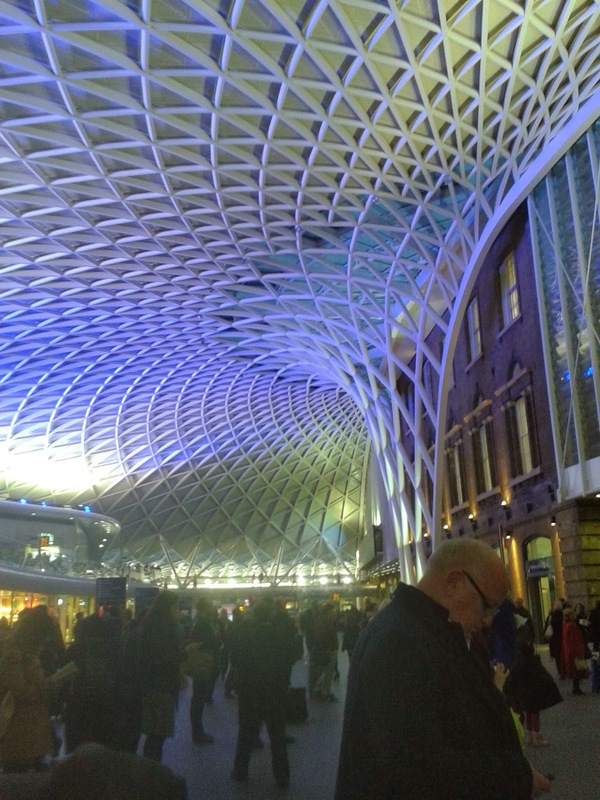 Plus I also got to make use of the new look King's Cross station - I'd like to think that even people who aren't fans of transport infrastructure in general (that is, all of those reading) will find this quite pretty, and possibly a little impressive.